Waning Phases always favor to let go, review, redo, and heal energetically throughout one half of your Zodiac Pie. This month our request is from 0 degrees Cancer (the second of 5 Full Moon’s to fall at this poignant degree point through March 2019) through Leo, Virgo, Libra, Scorpio and Sagittarius until the first New Moon of Winter as well as 2019 arrives 05 January at 15 degrees Capricorn coupled by a Solar Eclipse. This first Full Moon of Winter and last for 2018 is extremely involved in leading the way in more transformation tones which concludes the work 2018’s theme of Feeling the Feminine has been asking for us to integrate into our lives all year long. There is an unexpectedly yet still friendly force asking us all to recognize the power of change versus resisting it, as well as the means to be comfortable even as we choose to get out of our comfort zones. As we recognize the growth process we are in the midst of is asking for us to move forward and never look back, we can have peace of mind to be assured the soul work we are doing is worth the effort, setting our future up even further for thriving success. Remember as the 0 degree point represents not only rebirth and profound life cycles in absolute shift, we have to truly let go of the past in order for it to work with us versus against us. This number is extremely important to understand and assimilate into our healing as it also called to us in November and will continue on throughout the winter. 0 is The Adjustor, the regenerative energy that asks us all to distinctly surrender the power we give to the past, in such a way that is becomes destroyed, and most certainly provokes a potent and intense emotional process as we do so. This is an undeniable and incredible time to allow our light to become reborn into a fascinating force for the future whose process is completed upon the Spring Equinox. 2018’s 13th and Last Full Moon. Where are you being asked to Step Outside of Your Comfort Zone, Dear Star? ARIES: It’s time to focus upon release where I Nurture, relating to your home, family, closest environments, psyche and paternal energies. Keep reaching for the stars in your career, and know you must break through and appear different to this world. TAURUS: It’s time to focus upon release with how I Communicate, relating to your thinking, mentality, mindset, siblings and neighbors. Remaining teachable is key right now for your soul’s growth, so enjoy some retreat time to your solitude, and absorb the silent listen. GEMINI: It’s time to focus upon release with what I Have, relating to your income, values, possessions and overall sense of security. Your wealth and your overall abilities to feel reborn are shining through, allowing you to look forward to what the future holds. CANCER: It’s time to focus upon release with who I Am, relating to your appearance, emerging self, and the mask you wear to the world. Your partnerships are more than pleasing, and see what inspiration they are able to grant for your career and public life. LEO: It’s time to focus upon release where I Process, relating to your solitude, retreat, inner work your subconscious and dream state. Your habits, routines and lifestyle feel better than ever, as a deeper truth emerges to reinvent what you had originally believed served you best. VIRGO: It’s time to focus upon release where I Socialize, relating to your future goals, aspirations, friends, groups, peers and ultimate hopes and wishes. Be playful with children and creative adventures, and do not doubt for a minute this has indescribable wealth to share with you. LIBRA: It’s time to focus upon release where I Structure, relating to your career, public and professional life and views upon authority. Cherish what you can nourish in your home and family life that involves your intimate relationships completely reinventing themselves. SCORPIO: It’s time to focus upon release with what I Believe, relating to your willingness to be educated, abilities to grow, stand in your truth and express your philosophies. Embrace the power of positive thinking and surrender to this is lifestyle change for the absolute better. SAGITTARIUS: It’s time to focus upon release where I Transform, relating to your wealth, sexuality, abilities to transform, regenerate and change. Increased value wishes to grace your income, involving the originality your creativity can provide for your security. CAPRICORN: It’s time to focus upon release where I Relate, connecting to your partnerships, legal agreements, business and personal relationships. The face of you appears even more stabilized to the world, and it surprisingly nurtures your home life for the better. AQUARIUS: It’s time to focus upon release where I Serve, relating to your habits, routines, service to self and others, and your physical health. Take a deep dive into your solitude to retrieve the power of what you can process, which unexpectedly changes your frame of mind. PISCES: It’s time to focus upon release where I Create, relating to your brain children, manifestations, physical children, love affairs and pleasures. Be sure to get out and socialize as well as focus upon future goals, which opens originality for your income to receive. What’s your Personal Forecast say for this Cancer Full Moon from your natal chart? BOOK NOW and schedule your private session with Sharita! A 3 Universal New Year. The Reachable and Teachable Energy within a Current 9 Year Cycle. 2018 leaves its’ distinctive mark on many across the globe. Everyone witnessed more than their fair share of duality, overwhelming emotions, unbalanced situations, creative imagination, paternal pains, worries, and most importantly: opportunities for healing. Overall, it was Feeling the Feminine that wished to show us the divine and cooperative light within our human experiences that absolutely has changed our perspectives and directions during the past 12 months. Our human experiences now shift during 2019, into a new energetic cycle that collectively co-exists alongside our spiritual beings, seeking to align us in the rhythm of three. It’s time to activate aspiration, honesty, and being reachable and teachable into our practices. In the 12 months of 2019, our preferred choices are to make sure our bodies, minds and souls are becoming in touch and working in unison with one another. Ignoring what it is we must learn will not be wise to do, for it will only block the flow of abundance that is naturally meant to come towards us. Our specific goals and aspirations still belong to us despite all that will continue to attempt to distract us, which always need to be carefully filtered. 2019’s overall theme is an undeniable year of eliminating the lower energy of being the victim, and no longer allowing sacrifice to be anyone’s end result. The last time the world saw a year guided by worldly wisdom, expansion and abundance was in 2010. Once again, entering an amazing cycle of emerging the seeds just planted in 2017 to allow to our proper evolution once again as 2019 will unfold. Overall, a 3 Universal Year opens up a profound channel inviting us to envision what is possible. 2019 distinctly grants us opportunities for our beliefs to experience growth, stand in our truth, accept knowledge and witness wisdom all work for us in fortunate ways. This requires embracing optimism and the willingness to be educated with all situations that equally seek reliance on the awareness we just received from how 2018’s experiences ultimately sought out to shape our lives in a divine feminine healing space. Equally requested is the deeper understanding of how to not permit the worlds’ problems and fears to interfere with what we are meant to focus upon within our personal experiences. This is quintessential to comprehend during 2019, as the year will undoubtedly display the not so positive side of the Universal 12/3 energy, which will reveal the truth no matter how much it hurts to be energetically witnessed overall. You do not need to be in an actual 3 Personal Year within your own forecast to see 2019’s collective energy unfold within your human experience. By following the spiritual guidance that your Personal Forecast precisely provides, 2019’s Universal energy seeks to compliment your own timing is everything cycles. The year ahead is ever powerful to align us in a search for the truth that we are not meant to ignore in order to manifest what truly wishes to bless us with abundance the most wherever we are within our own personal forecast. We are wise to not ignore what learning is required within our lives. As we willingly adapt to an enthusiastic and looking at life like the glass is half full energetic pulse we can enjoy success. To make the most of the collective energy that we co-exist within for 2019 and are individually a part of as we evolve, remembering to be reachable and be teachable, once again is absolutely essential. Over the past 9 years, on a collective level, we are all part of the larger whole that witnessed the bigger picture unfold. As we are now asked to take our healing and divine feminine awareness from last years’ nurturing of the seeds in 2018 (2), and apply it now in 2019 (3) we will burst open those seeds planted in 2017, align in new knowledge and education in order to grow them. Beliefs, philosophies & abundance promises to be stimulated on a global level amongst humanity, equally comparing to what we did on another level back in 2010. 2011 (4) formulated roots that secured the initiations of 2008’s 1 Universal Year within a foundation. The unexpected, breakthroughs & over coming obstacles called to all. 2017 (1) new seeds of life & creation were planted once again, aligning in major shifts of direction. Egocentricity, creativity & stunning initiations were witnessed on a global level. 2018 (2) nurtured the source of sensitivity, emotional healing and imagination amongst humanity. As a Master Number Year under the 11, Feeling the Feminine and embracing the Divine was the only way that grace was granted to any soul. Those who resisted their necessary healing, will experience being the victim and witness tremendous sacrifice during 2019. While the singular energy of the 3 guides our Universal New Year, 2019 equally arrives (2 + 0 + 1 + 9 =12) at a compound number granting further insight which is more than key to understand about how to ideally navigate the months of the year ahead. 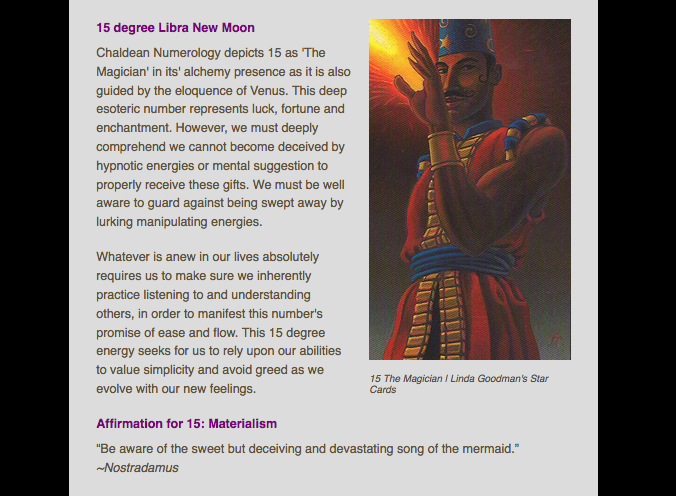 In Chaldean Numerology, compound number vibrations each have Chaldean Karmic Mysteries associated with them, providing us with ancient wisdom that is absolutely amazing and profound to take into consideration in our modern day. 2019 asks us to move beyond what we think is possible. Stop placing ourselves in situations that do not serve our highest good. Recognize, we are still a student, no matter where we are in our lives. Numerology, like astrology, is directly guided by the archetypes of our planets from above. As we translate what planetary movement means for us down here below, energetic patterns are always seen to cycle amongst us. It is now time to shift into the understanding of Jupiter from the emotional, divine feminine, overwhelming, and healing space that the sensitive Moon’s archetype indicated would be symbolized within 2018 during our 11/2 Universal Year that required us to honor Feeling the Feminine overall. Jupiter as it influences the 3 energy symbolically translates the messages to be open to emerging the seeds and be willing to grow as we unite in the body, mind and spirit. We have to decide and commit to what makes us become teachable to the fullest in order to envision the next 6 years so we can ultimately move forward with success. Especially so for 2019, the honorable practice of bringing knowledge in and being open to flowing with abundant energy into our habitual space, allows for the generosity and optimistic vibe of Jupiter to magically work with us to accelerate our learning experiences. Taking any gamble in complete blind faith and not remembering to remain the student in 2019, will especially not be well-supported. Precisely focusing upon the current transit of Jupiter specifically points us to what will channel on deeper levels as the collective adapts to global changes accordingly. Equally, where Jupiter transits within one’s natal birth chart grants a valuable forecast of how this current energy prefers to create positive personal changes for the individual. Jupiter is super excited to be right at home in the very zodiac sign it rules of Sagittarius, The Archer for our 12/3 Universal Year. This is the key to equally why 2019 overall is especially favored for completely abundant changes, because of this alignment. Looking back to 2010, Jupiter was just leaving Capricorn at the opening of the year, entering Aquarius on 05 January. Jupiter in his jovial presence doesn’t mind being in any sign as long as the energy is open to learning and growth. However, this is a particular time in history that will enthusiastically favor a carefree feeling (once again, not blind faith, careful attention must be placed upon acquiring proper knowledge first), support social contact and connecting, philanthropy, love of freedom, traveling and long journeys, prophetic inspiration and finding faith in what is possible. Outer planet retrogrades are not as energetically felt upon the earth like our inner planets retrograde cycles are. As 2018 gave us plenty to acknowledge in reflection from Mars Retrograde (26 June to 27 August), an extra intense Summer Eclipse Season, and Autumn’s Venus Retrograde (05 October to 16 November)- all coupled or intertwined with our usual Mercury Retrogrades, the 11/2 reflective and healing request was amplified all the more. For 2019, Jupiter’s Retrograde will be experienced on a far more subtle and quieter level. Naturally, we will not be asked to take pause in our lives and avoid making important moves for the future (only when Mercury Retrograde will be in transit during it from 07 to 31 July). Be sure you are however, well aware within your Personal Forecast, what area of your life Jupiter will be asking for your mindfulness during the early Spring until the middle of the Summer, as a subtle channel of reflection and consideration concerning our intentions will be in planetary play. Just before we conclude our 2019 Universal Year, Jupiter’s energy will shift significantly into a far more serious zodiac sign. The finale of 2019 will absolutely ask us to be responsible to the need to not forget our willingness to be reachable and teachable, and in fact, it will become all the more intense. Our sense of duty by the close of the year will be undeniable. Enthusiasm for our consciousness, ambition, self control and organizing ability will be called up to make sure we truly wind down the last weeks in December continuing to expand our lives in full awareness of all we have chosen to learn during the year. Do You Think You Know It All or Know Someone Else Who Does? Those opting to not step into the space of learning, honoring the truth, being teachable, gratitude or believing they cannot grow, will not be well supported energetically in 2019. Those exercising moves made in defiant attitudes, blind faith, resistance and owning the definition of insanity (repeating the same experiences over and over again expecting something different to happen) will find they have not watered their seeds properly from 2018. Now, their garden’s growth that is meant to be present in 2019 simply will not be emerging from the ground. Wisdom can be ours as we open our energy up to recognizing what we a grateful for, embrace enthusiasm and get happy, and take on the role of the student versus ever choosing being a victim and sacrificing of ourselves concerning what is circulating around us. Those who are in full belief abundance can be theirs (if they did their healing soul homework in 2018), absolutely should expect the world to be giving and generous to them in return. Seeing where our optimism, faith, and willingness to be educated needs to be applied the most throughout 2019, allows us to properly receive what is rightfully ours during this year in the connection of reaping a richer harvest within our lives by 2024. Being uncomfortable at first with remembering to be humble about what we are feeling in times of uncertainty -and allowing our free will’s to move beyond fear to stop looking at the world’s cup as being half empty versus half full- will be felt across the board in 2019. The positive or negative of whatever humanity wishes to grow and believe in absolute truth in the deepest connections to what will conclude by 2025, it now shall find the abundant and aspiring force to do so. Choosing to be reachable and teachable as we evolve will be an amicable choice to make in 2019 to be able to rhythmically move throughout the year with ultimate success. The guidance of love backing up our learning intentions equally promises long term fulfillment to unfold, and steers us completely clear of being caught in the undesirable sacrifice and victim roles. No matter what the world at large will choose to do, if we remember who we personally are and exhibit our teachable skills, embrace joy and happiness, and shift our will to an optimistic growth mindset- anyone in 2019 is allowed watch their personal win-wins unfold. Always remember to keep your knowledge cup full, educate the self first and foremost, and you absolutely will be the shining example for others to be undeniably attracted to your results. 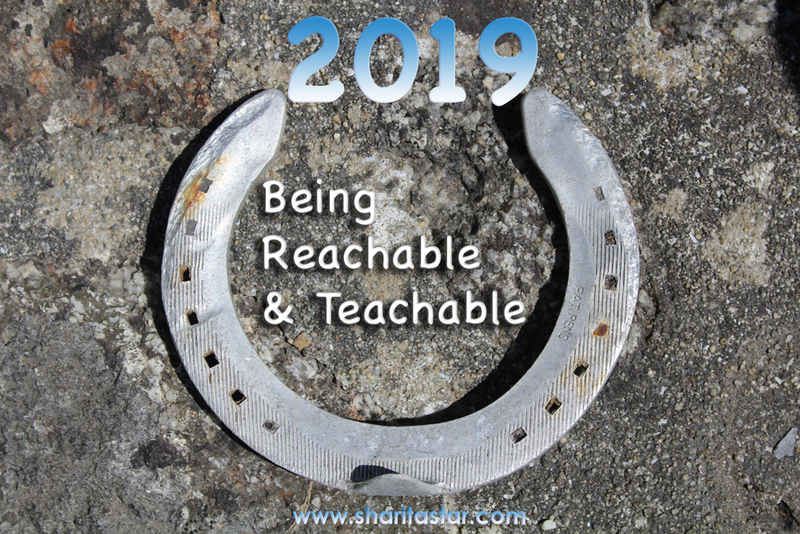 Wishing You the Best to Get in Touch with 2019’s Cycle of Being Teachable and abundantly embrace your individual human experience, Dear Reachable Star. Happy New Year. Namaste. Waning Phases favor to let go, review, redo, and heal energetically throughout one half of your Zodiac Pie from 01 degrees Taurus, Gemini, Cancer, Leo, Virgo and Libra until the second New Moon of Autumn 2018 arrives 07 November at 15 degrees Scorpio. This second Full Moon of Autumn continues to very involved with remaining responsible and accountable to clearing out the old foundation, which began as we practiced the pause on Summer’s Leo Lunar Eclipse 27 July under Mars Retrograde. Equally, it is closely working with the current Venus Retrograde to attain a distinct shift, which will be shown to us all in radical ways we may not quite have seen coming that honestly redefines our ultimate responsibility to securities, values, money, beauty and relationships and their power across the board. This is undeniably another prime opportunity in 2018 to allow our energy to heal and profoundly continue the work to be done connecting to the years’ overall theme of Feeling the Feminine. This Full Moon will deliver upsets, surprises and plenty of the unexpected. It is more than critical for our souls to embrace, accept and not resist what is being asked to release and change, exposing some of the deepest epiphanies of the year to allow rightful transformation to unfold for our emotional space. *This waning phase coincides with Venus Retrograde (05 October to 16 November) and the Approach to Mercury Retrograde (16 November to 06 December) that begins 28 October* As we are absolutely engaged in a pure Autumn of reflection, these two weeks will be essential to understand in anyone’s timing is everything scope. 2018’s 11th Full Moon. Where are Radical Transformations for Security happening for you, Dear Star? ARIES: It’s time to focus upon release with what I Have, relating to your income, values, possessions and overall sense of security. As a profound rebirth is realigning your and your wealth, look to your vocation for stabilization. TAURUS: It’s time to focus upon release with who I Am, relating to your appearance, emerging self, and the mask you wear to the world. Be cautious with your relationships and legal agreements as you discern their actual truth. GEMINI: It’s time to focus upon release where I Process, relating to your solitude, retreat, inner work your subconscious and dream state. The value of your lifestyle depends upon you to serve it better so you can become reborn. CANCER: It’s time to focus upon release where I Socialize, relating to your future goals, aspirations, friends, groups, peers and ultimate hopes and wishes. Return to existing creative projects and research the power of your partnerships. LEO: It’s time to focus upon release where I Structure, relating to your career, public and professional life and views upon authority. As life at home is under reconstruction, rewards continue by remaining accountable to responsibility for your habits and routines. VIRGO: It’s time to focus upon release with what I Believe, relating to your willingness to be educated, abilities to grow, stand in your truth and express your philosophies. Keep reframing your mindset as you take the higher road with your creativity and children. LIBRA: It’s time to focus upon release where I Transform, relating to your wealth, sexuality, abilities to transform, regenerate and change. Recognize the restructuring in play for your income and securities grants you sound nourishment right at home. SCORPIO: It’s time to focus upon release where I Relate, connecting to your partnerships, legal agreements, business and personal relationships. As the changing face and appearance of you continues, your communications become more patient. SAGITTARIUS: It’s time to focus upon release where I Serve, relating to your habits, routines, service to self and others, and your physical health. Your time in solitude is critical to take as you understand more about simplification for your values and securities. CAPRICORN: It’s time to focus upon release where I Create, relating to your brain children, manifestations, physical children, love affairs and pleasures. Continue to redefine your future goals and social scenes knowing you are taking on the world differently. AQUARIUS: It’s time to focus upon release where I Nurture, relating to your home, family, closest environments, psyche and paternal energies. As career matters are sorting themselves out for the best option to realign, take you time alone to retreat and recharge. PISCES: It’s time to focus upon release with how I Communicate, relating to your thinking, mentality, mindset, siblings and neighbors. You are in a total transformation of what you hold true for your beliefs, which absolutely will change your future in responsible ways. What’s your Personal Forecast say for this Taurus Moon from your natal chart? BOOK NOW and schedule a private session with Sharita! Waning Phases favor to let go, review, redo, and heal energetically throughout one half of your Zodiac Pie from 01 degrees Aries, through Taurus, Gemini, Cancer, Leo and Virgo until the first New Moon of Autumn 2018 arrives 08 October at 15 degrees Libra. This first Full Moon of Autumn is ambitiously involved with the adjustments and clearing that we have already been working on since the Summer’s Aquarius Lunar Eclipse 27 July under Mars Retrograde. Equally, it seeks for us to tend to redefining more about our responsibilities to leadership within our lives, as former structures are being asked to be taken down as we honestly recognize these heartfelt changes are inevitable. Ultimately, we have another distinct opportunity in 2018’s Universal 11/2 year to open our energy up to what we must heal and profoundly understand to continue the work to be done connecting to our overall theme of Feeling the Feminine. What still remains unbalanced, has the chance to be intently reflected upon so that realignment can come into our NOW so we can OWN it and see how very much we have WON. If our souls embrace, accept and do not resist what is being asked to release and shift, there are deep epiphanies we can experience and find peace of mind through. *This waning phase coincides with the Approach to Venus Retrograde (05 October to 16 November) and the Shadow of Mars Retrograde (26 June to 27 August) until 08 October* As we prepare for a pure Autumn of reflection, we are equally in the midst of making corrections and forward motion from our intense summer which required the very same. 2018’s 10th Full Moon. Where are you favored to have Honest Ambition for Change, Dear Star? ARIES: It’s time to focus upon release with who I Am, relating to your appearance, emerging self, and the mask you wear to the world. Move forward with future goals, especially those making practical sense for your career as well as your partnerships. TAURUS: It’s time to focus upon release where I Process, relating to your solitude, retreat, inner work your subconscious and dream state. Career advancements continue to excite you, changing your beliefs in solid ways as you serve the world all the better. GEMINI: It’s time to focus upon release where I Socialize, relating to your future goals, aspirations, friends, groups, peers and ultimate hopes and wishes. You are in a powerful growth period that is enhancing your scope on wealth and shining light upon your creativity. CANCER: It’s time to focus upon release where I Structure, relating to your career, public and professional life and views upon authority. Regenerative forces are favoring rebirth for you making a direct impact upon your soundest relationships and life right at home. LEO: It’s time to focus upon release with what I Believe, relating to your willingness to be educated, abilities to grow, stand in your truth and express your philosophies. Partnerships and legal agreements require your focus to take your lifestyle more seriously, welcoming complete peace of mind. VIRGO: It’s time to focus upon release where I Transform, relating to your wealth, sexuality, abilities to transform, regenerate and change. Be accountable to redirecting your habits and routines as you find your creativity is involved, as well as the value of your earning power. LIBRA: It’s time to focus upon release where I Relate, connecting to your partnerships, legal agreements, business and personal relationships. Be playful with creative adventures and children, take on more responsibility at home as you undeniably accept the changing face of you. SCORPIO: It’s time to focus upon release where I Serve, relating to your habits, routines, service to self and others, and your physical health. Your family life has plenty of action to attend to, requiring your patient thinking and taking the pause to sharpen your saw from within. SAGITTARIUS: It’s time to focus upon release where I Create, relating to your brain children, manifestations, physical children, love affairs and pleasures. Your refreshed mindset is eager to capture ideas to lend value to your income and stability, opening up movement for your future goals. CAPRICORN: It’s time to focus upon release where I Nurture, relating to your home, family, closest environments, psyche and paternal energies. Your income and securities are amidst rapid advancements, seeking for your greatest accountability to self yet, as all is realigning changes in your career. AQUARIUS: It’s time to focus upon release with how I Communicate, relating to your thinking, mentality, mindset, siblings and neighbors. Your emerging self is motivated and full of desire, however be sure to slow down enough to be silent and listen carefully, and you will hear pleasant new truths. PISCES: It’s time to focus upon release with what I Have, relating to your income, values, possessions and overall sense of security. Your time in solitude is critical to navigate the serious changes to your hopes and wishes, and this is a harmonious rebirth you have been waiting for. 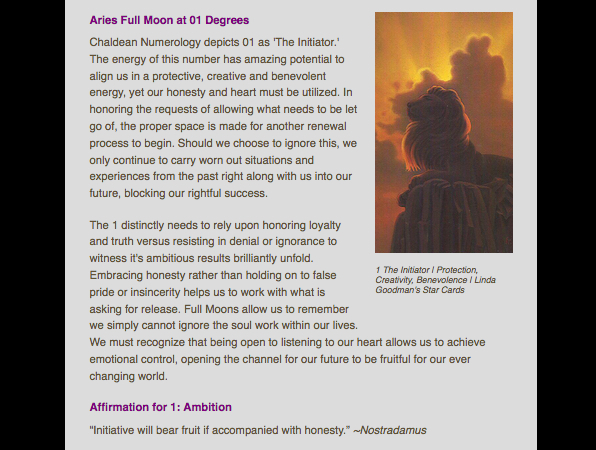 What’s your Personal Forecast say for this Aries Full Moon from your natal chart? BOOK NOW and schedule a private session with Sharita!